No guesswork. No stress. No frustration. No wasted time or lost billable hours. Just an amazingly calibrated display or projector that accurately displays the color in your original picture or digital file. 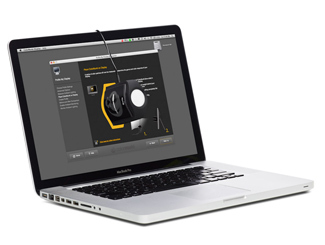 Our wizard-driven interface makes it quick and easy for you to calibrate and profile your displays at the speed of life. You’ll quickly get back to what you really love doing with total confidence that the files you’re seeing and working on are precisely what others will be seeing. How’s that for perfect? Unique features like X-Rite Ambient Light Smart Control and our Automatic Display Control makes profiling so easy, while delivering color accuracy and consistency time and time again. We want your life to be perfect. 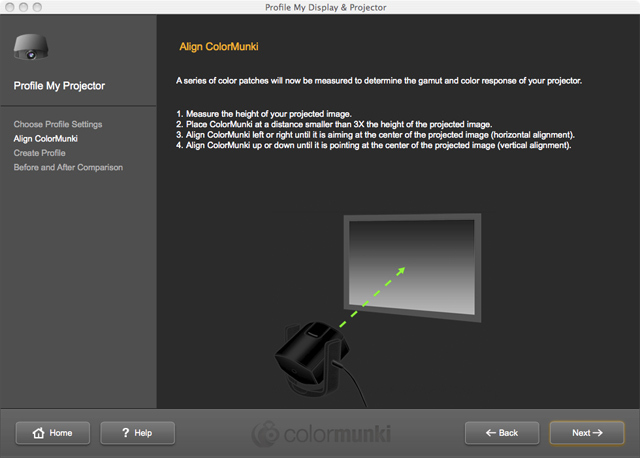 Let’s start with ColorMunki calibrated and profiled displays. If only everything in life were this easy. 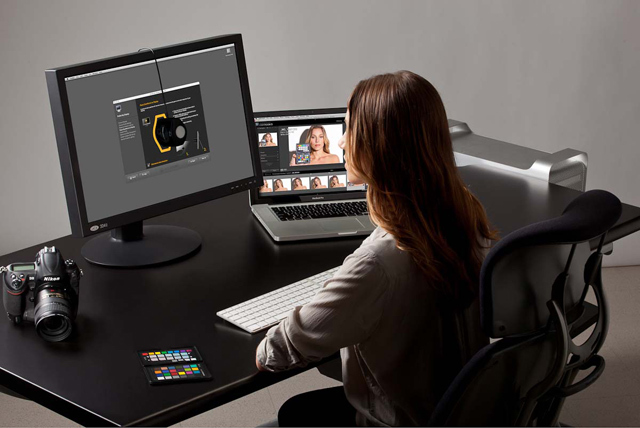 Color Perfectionists know that a calibrated and profiled display is a critical element in an efficient digital workflow. Nobody wants to spend hours at their screen perfecting images only to find that their display wasn’t accurately representing their digital files. What you see on your monitor (or projector) has to match your digital file or you will never be happy with the result, no matter how much time you devote to perfecting it. 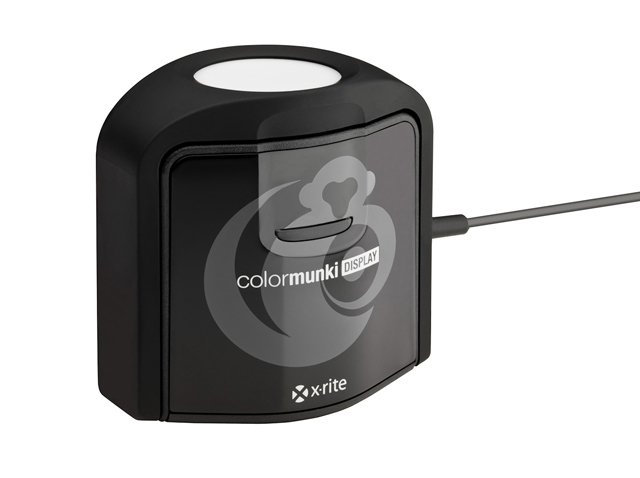 For Color Perfectionists working at the speed of life, X-Rite ColorMunki Display gets you to an amazingly calibrated display or projector in minutes. We eliminate the frustration and irritation so you have that much more time to focus on what you love doing. 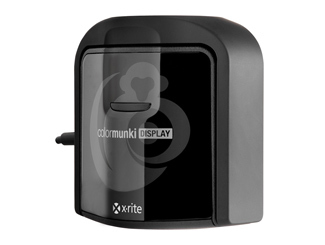 X-Rite ColorMunki Display incorporates technologically advanced filter and optical systems, fast measurement speed, and unrivaled color accuracy on all modern display technologies including LED & Wide Gamut LCD displays and mobile devices. It’s also spectrally calibrated, which makes it field upgradeable to support future display technologies. 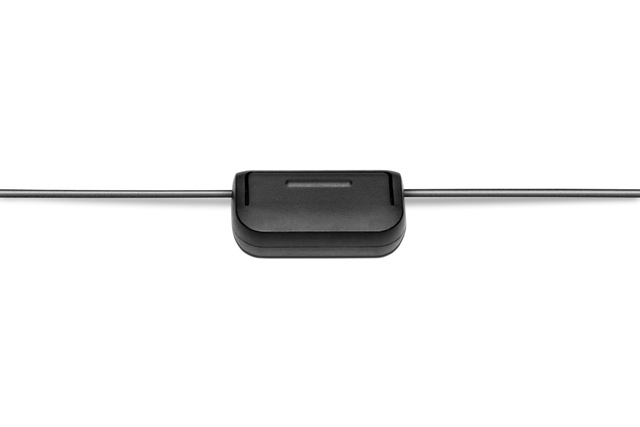 The ultra-modern ergonomic design incorporates three functions – ambient light measurement, monitor profiling, and projector profiling – into a very sleek, compact and fully integrated device with no parts to misplace. 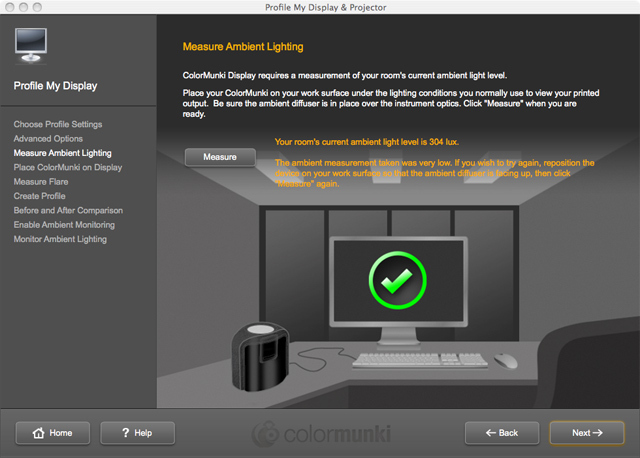 ColorMunki software provides two user modes, “Easy” and ”Advanced”, both designed to give high-level professional color results for your displays and projectors. The wizard driven interface guides you through the profiling process in small, easy to understand steps. No knowledge of color science is required. “Easy” mode is as simple as pushing a button, while “Advanced” mode provides additional predefined options for those users who want more defined color control. Before and after images show instant results – using one of our images or your own. Profile reminder notifies you when it is time to re-profile your display. Easy to follow on-screen help guides and videos - no extra manuals needed. Once you take the guesswork and frustration out of making sure the color you see on your monitor or projector is the color you expect from your printer, you’ll save time and money and gain full creative control over your images. 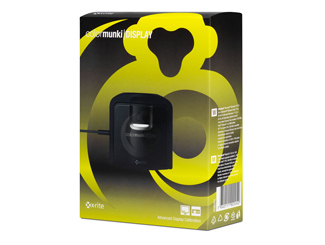 ColorMunki Display uses advanced technologies to perfect the match between your display and printer. 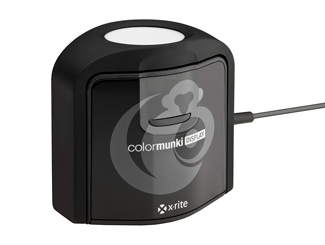 X-Rite Ambient Light Measurement – automatically determine the optimum display luminance for comparing prints to your display, based on a measurement of the lighting conditions where prints will be viewed. X-Rite Ambient Light Smart Control – the intensity or amount of ambient light surrounding your workspace affects the way you perceive colors on your display. ColorMunki Display can compensate for this effect and provide the option to automatically adjust your profile or simply notify you as ambient light conditions change. 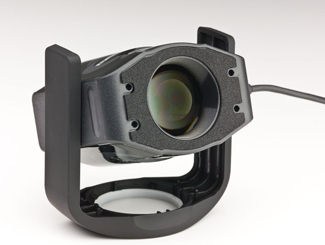 Flare Correct™ measures and adjusts your display profile for reduced contrast ratios caused by flare light (or glare) falling on surface of display. By accurately measuring your effective display contrast ratio, you’ll have an even more accurate display profile. Intelligent iterative profiling, an adaptive technology that produces optimized results for maximum color accuracy on each unique display every time you profile. Uses the same simple wizard-driven display profiling process. 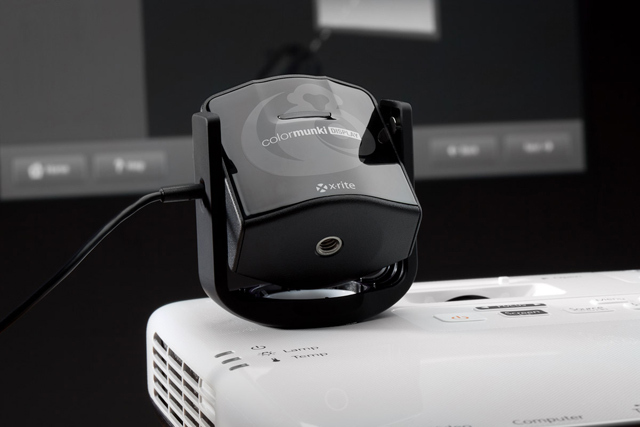 Intelligent adaptive profiling technology for maximum color accuracy from each unique projector. Compact device for maximum portability on location. 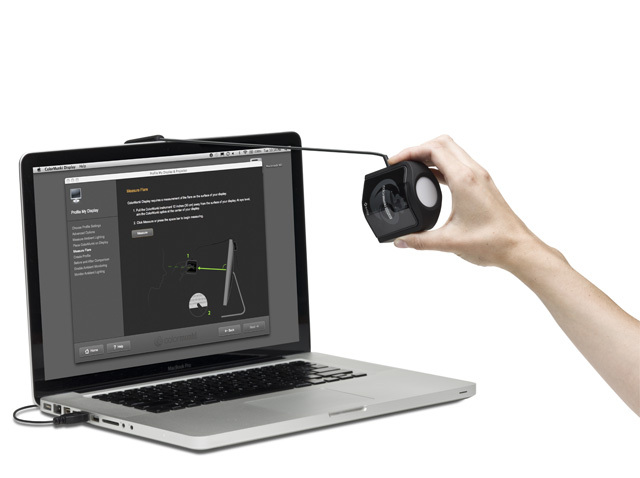 Diffuser arm adjusts to a stand for table top applications. 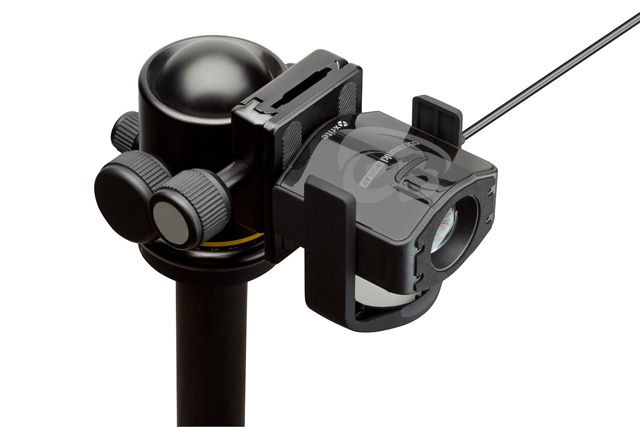 Conveniently integrated tripod mount for larger venues. 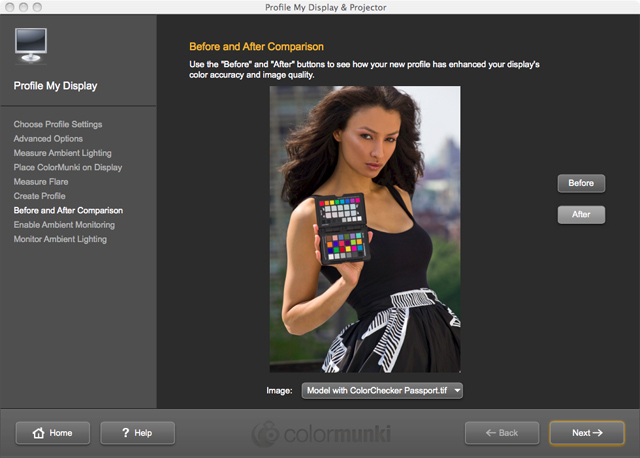 ColorMunki Display is supported in X-Rite ColorTRUE mobile app. This free app extends your calibration power to profile mobile phones and tablets. In just minutes, you’ll achieve the perfect mobile to desktop color match. Learn more. 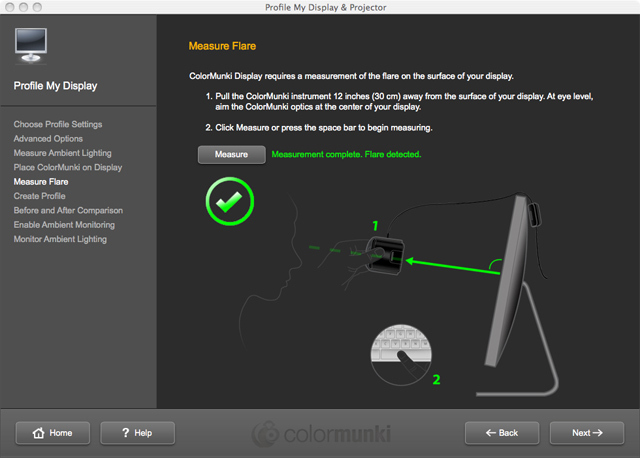 ColorMunki Display colorimeter, ColorMunki profiling software for displays and projectors, and Quick Start Guide. Free ColorTRUE mobile app download from iTunes® App Store and Google® Play. 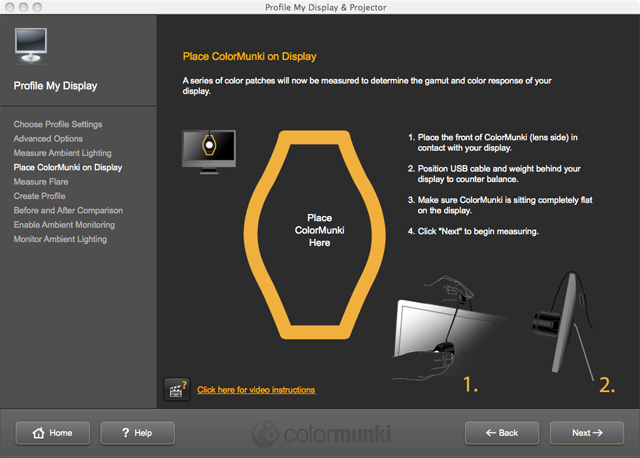 ColorMunki Display includes an end user license agreement (EULA) allowing a single user the ability to install and run unlimited installations of ColorMunki software on any number of computers that he/she owns. A PDF of the single user, unlimited seat license policy can be downloaded via Support Tab link. +ADC (Automatic Display Control) - What is it? The X-Rite i1Display Pro is the ultimate choice for discerning photographers, filmmakers, designers and imaging professionals looking for the highest level of on-screen color accuracy for displays, laptops, mobile devices and projectors. Two user modes (Basic and Advanced) provide serious Color Perfectionists with the perfect combination of unrivaled color precision, speed, options and controls to fit any workflow. 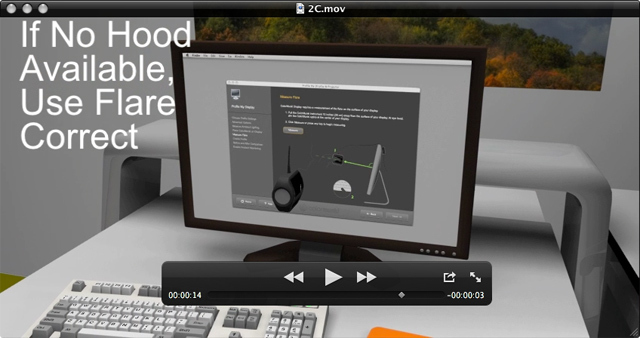 "A great solution for monitor color management. Very impressed with quality of the profile." 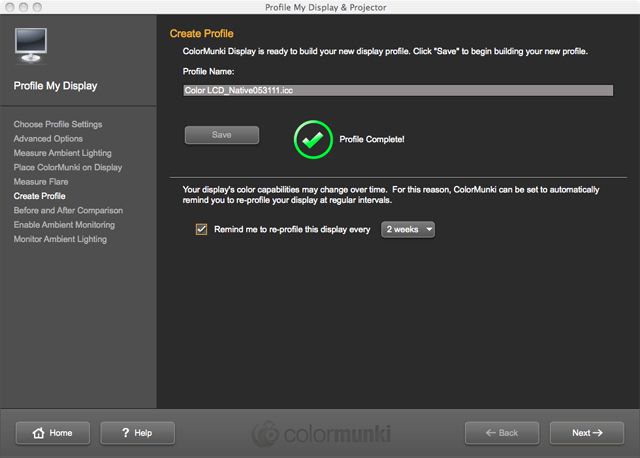 "ColorMunki Display is my answer to frustration when profiling my displays . . . "
"I love the new sleeker and smaller design. It's smart and the new user interface is so easy to use. . . ."
"I love the size and feature set of the ColorMunki Display . 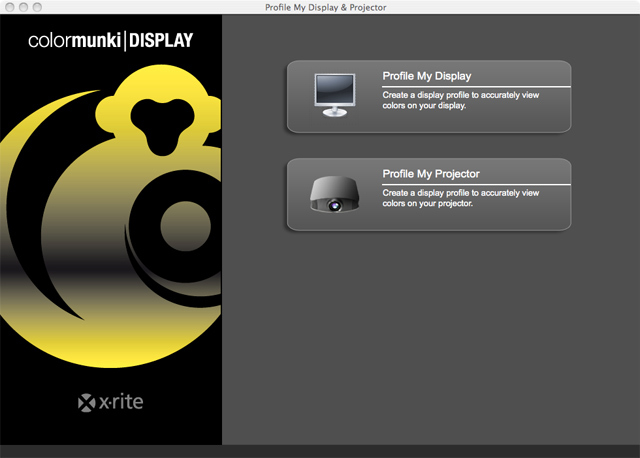 . ."
"ColorMunki Display is the ideal solution for anyone who presents with a projector . 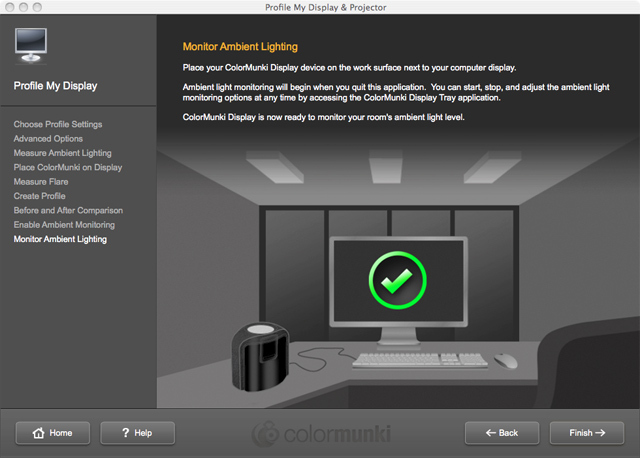 . ."
"The beauty of the ColorMunki Display system is that it walks you through everything that you need to create a color calibrated monitor or projector." 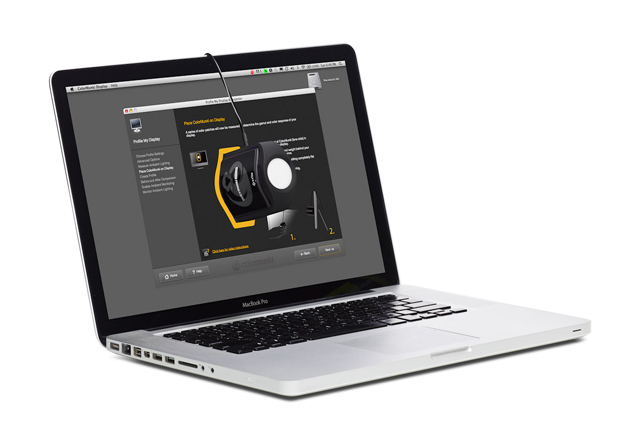 "The X-Rite ColorMunki Display makes it easy and affordable to calibrate your monitors, laptops, and projectors." "The ColorMunki Display improves the display of photographs and noticeably improve monitors where there is very little control, even on laptops and projectors." 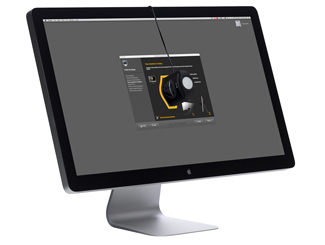 "X-Rite's latest color management tool is quick and simple, but plenty powerful . . ."
"Monitor profiling is a vital part of improving the quality and consistency of your work - the ColorMunki Display makes an excellent first step"
"Getting the best image quality on your LCD monitor is now easier than ever, using the ColorMunki Display calibration tool from X-Rite"
"Colormunki Display monitor calibrator ideal for both novice and intermediate users . . ."